Kislings Tavern – eating my way through Charm City! I have fond memories of Kislings being the place for wings. Shoot, their website is “baltimore’s best wings”. 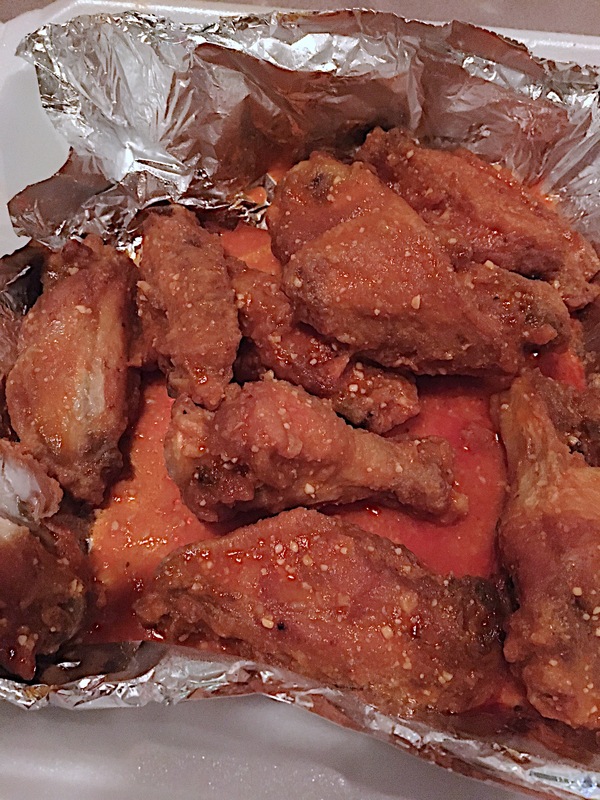 This tavern has won many a “best wings” and “Baltimore’s best” award. Plus, the 15 or so sauce choices means there should be something for everyone – aside from those vegetarians :-). I don’t stop in here much anymore; my tastes have changed just slightly and I don’t find myself in Canton quite so often. I was out supporting one of my friends at an event nearby and needed some food. I was craving some of that bar food goodness and could see Kisling’s from the window. The wings were the best thing we ordered. Unfortunately, they got a little steamed and lost some of their crispness. I am hoping that the takeout boxes and the two block walk had something to do with my disappointment. Their wings are probably best served piping hot. I will say, the nachos were a disappointment. The menu says “eeverything you can think of with your choice of chicken, beef or chili”. I expected actual cheese and toppings. It was simply doused in white cheddar cheese sauce. I know, I know, this is some peoples’ favorite way to go. And at least, the ALL of the chips had toppings, which isn’t always the case. I’ll be sticking to the wings at Kislings, and while I’m sitting at their bar. This entry was posted in All Good., Canton, Charm City, Dinner, Fells Point, Late Night, Patterson Park, Snack Time. Bookmark the permalink.